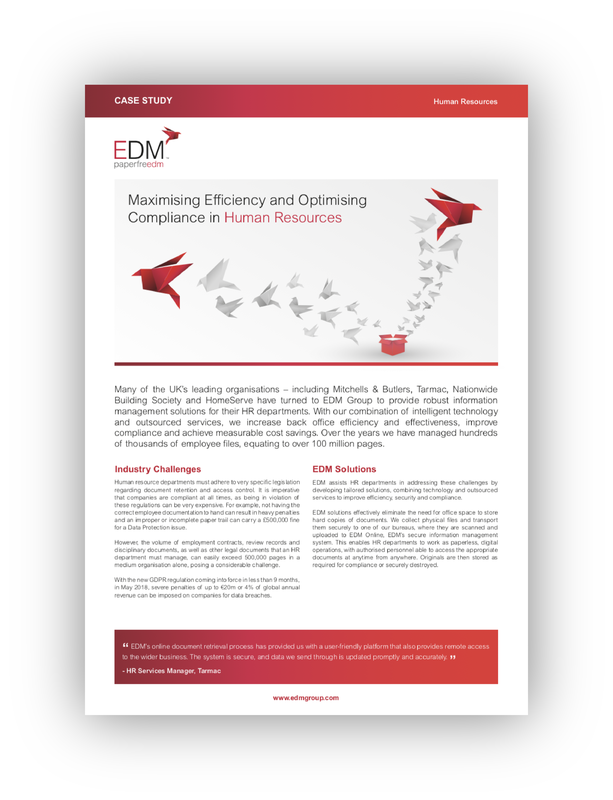 ‘Implementing EDM’s solution has a measurable impact on operating costs, helping departments get better value out of personnel, data and office space. In fact, we have been proven to deliver efficiency gains of 25%, achieving a return on investment in less than 12 months’. Discover our Document Scanning Solution.